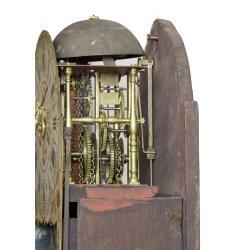 This clock form, unique to Scandinavia, is one of the best and most complicated of the form (see attached basic models). 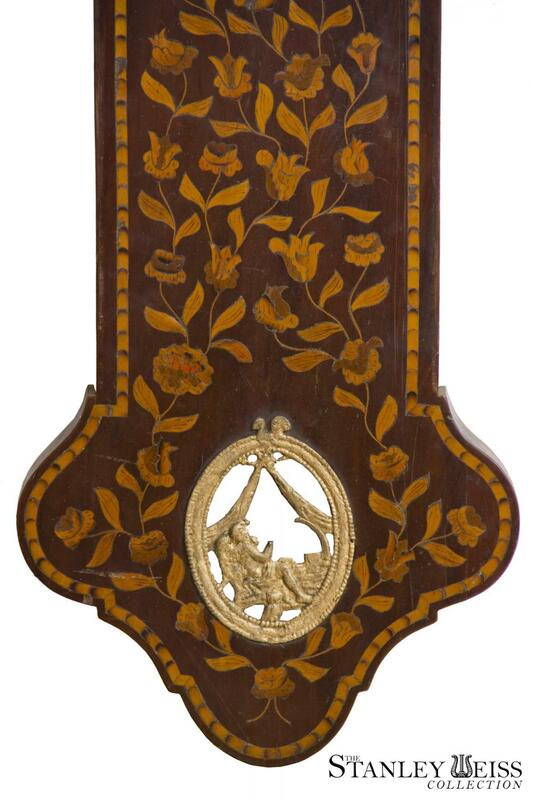 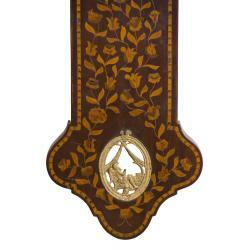 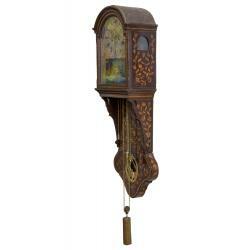 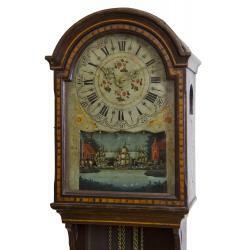 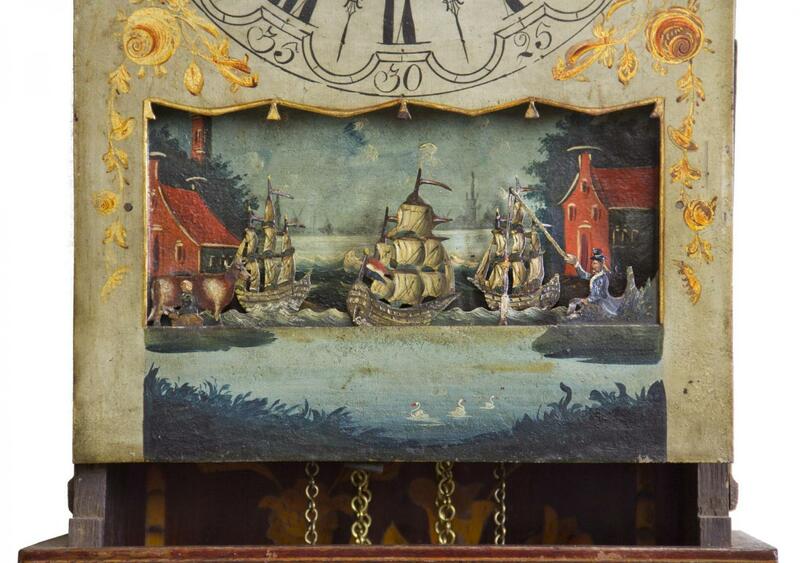 The case has beautiful marquetry throughout, and retains an older historic surface. 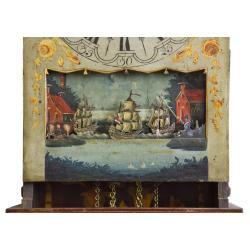 The beauty of the case complements the complexity of the fine movement within, which entails not only rocking ships, but interestingly, on the right side, a man with a fishing pole pulling a fish out of the water, and another milking a cow on the left. 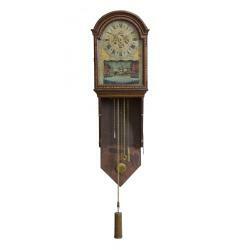 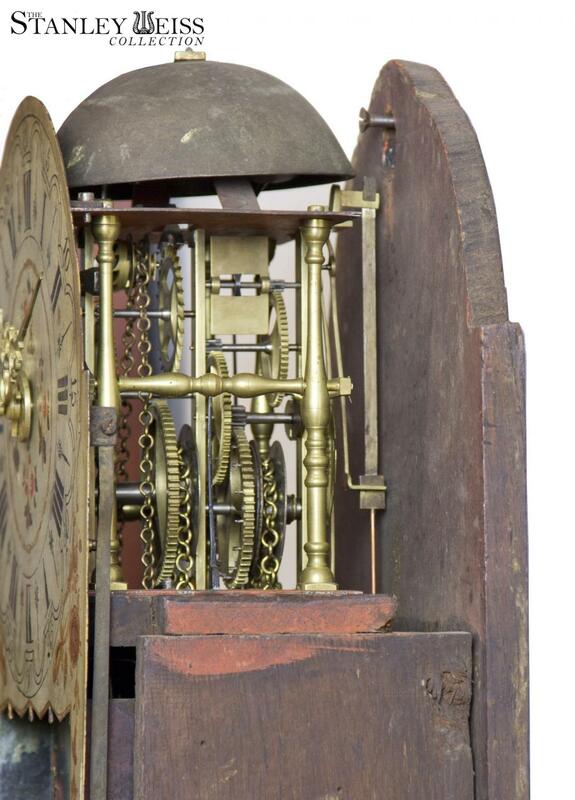 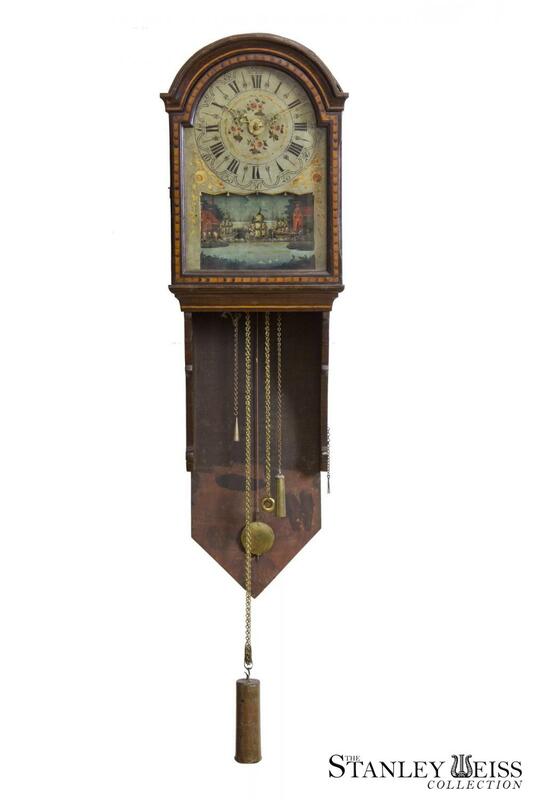 This is as complex as it gets and is a tour de force of creative clockmaking in Scandinavia. 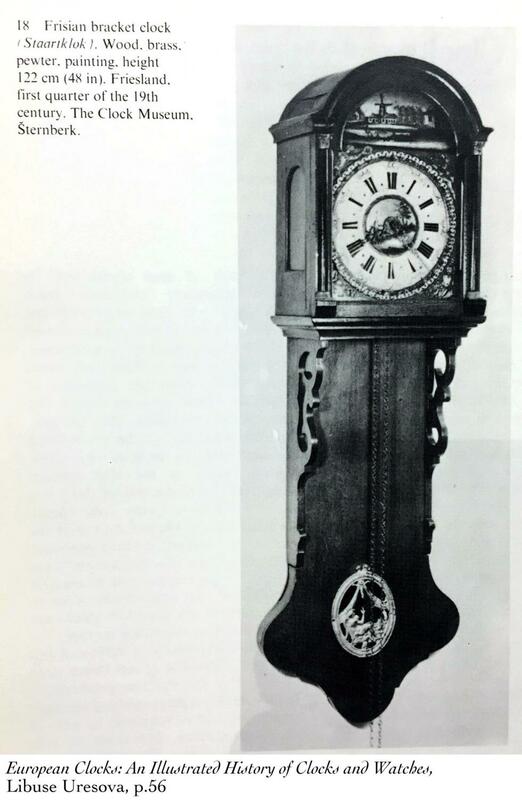 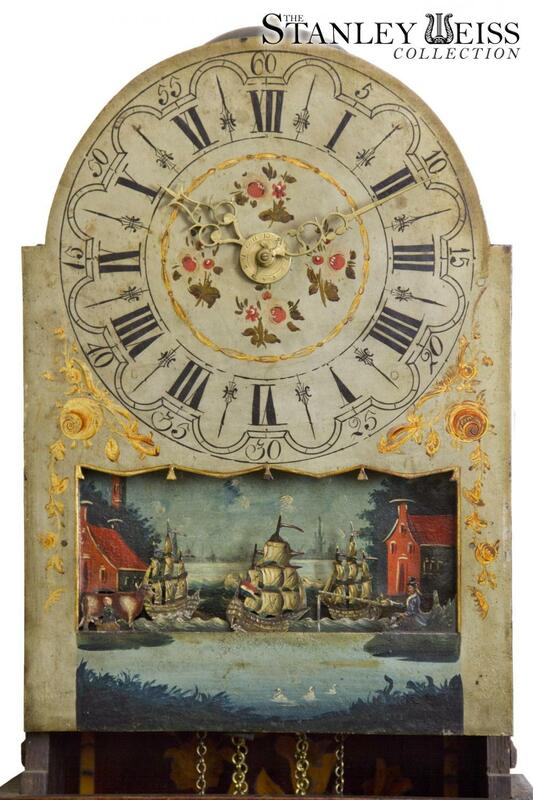 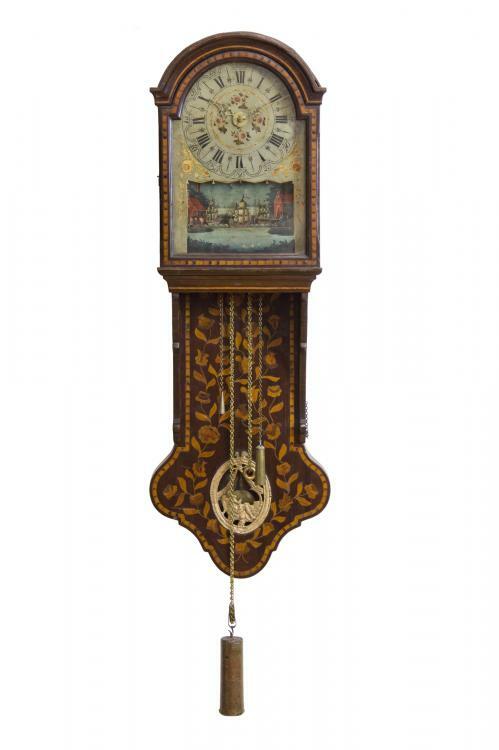 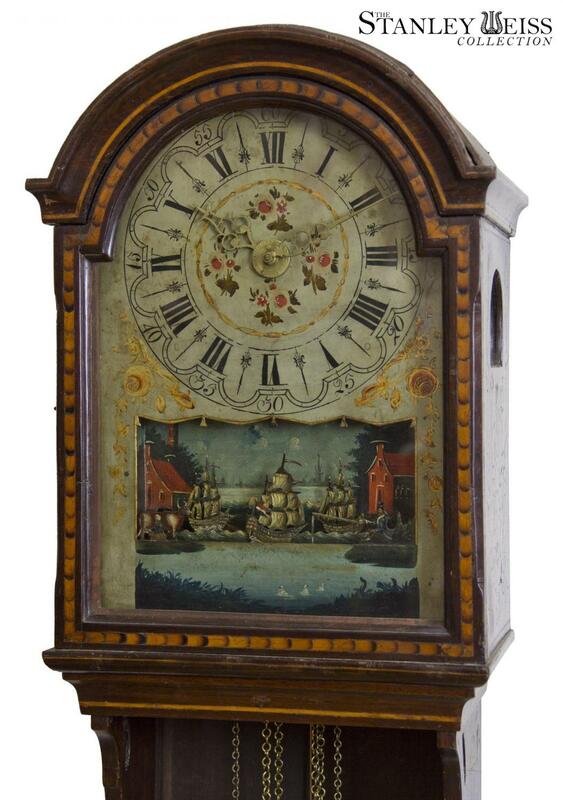 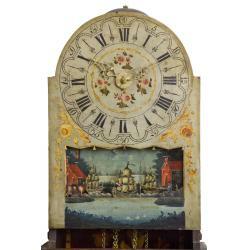 A related Scandinavian clock form in the tall case variety with ships of war between France and England can be seen here (sw01292). 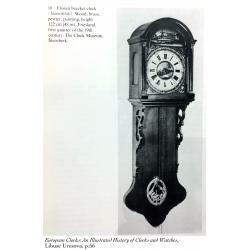 Note both clocks retain the open cast metal decorative depiction of "Old Man Time", a motif that appears to be repeated in weight driven clocks from Scandinavia.